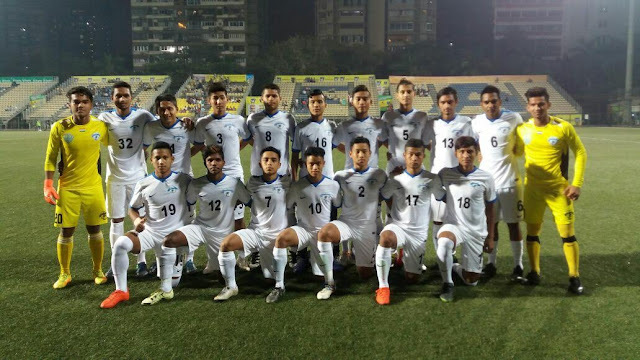 Minerva Punjab FC showed yet again that their immense development in the youth arena is on track after convincingly defeating Ozone FC in the final of the AIFF Youth Cup/Nike Premier Cup 2017 on Friday, 10th February 2017 at the Cooperage Stadium, Mumbai. This is the second successive time that Minerva Punjab FC have won this tournament which speaks volumes about their effort in the grassroots. Goal scorers Jeakson Singh (7th), Lalchhanhima Sailo (11th) and Md. Shahjahan (33th) ensured that Minerva Punjab sealed the deal in the first half itself. Credits to Ozone FC on finishing runners up on their debut appearance in the tournament. Minerva Punjab FC netted a cheque of INR 5 lakh while runners up from Bangalore, Ozone FC were handed INR 1.5 lakh.